The first game that made with the iPhone game engine described in this series is released before Christmas on App Store, it is called Monster Bowling. Here I will summarize what mistake we have taken in these 2 projects. First, the ship game project failed because the scale of the game is too big. Although some of the content is cut during production, there are still too many things need to take care and the team member gradually lose their passion about the game. So, my advice of making a game in spare time, especially when you work with other people the first time, is don't try to make a big game. If anyone in the team lose their passion, the game will never get shipped no matter how hard you work. Second, the other reason why the ship game failed because there is no a clear direction in the team, how the game project should progress and a clear schedule and check list what should be done. Without a direction, the team member will easily get lost and lost their passion. 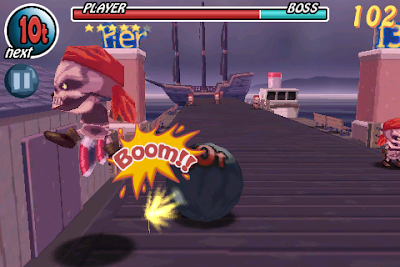 Third, this point is about the released game Monster Bowling. When the game was just released, the sales was not good. It is because within this team, there is only 1 artist and 1 programmer, both were putting most of their effort on developing the game and didn't pay much attention to marketing the game and let the public know about the game. So when the game was just released, there didn't have any game review to boost the sales up. Fourth, this point is about technical issue within the engine. Within the engine, both the game runtime and the editors use the same file format which is a binary format. But doing in this way resulted in a problem which cannot merge the files, for example, when the game objects within a game level are modified by 2 people, we are not able to merge the changes. Luckily, as our team is small, we just do not edit the same file at the same time which does not cause a great trouble in the project. After talking about the mistakes, I will talk about some decisions that I think is made correctly. First, during the production of Monster Bowling, there are constant communication within the team. We talked about the progress of the game every 1 or 2 weeks. This is very important for those who make games in their free time because through talking about the game, we can keep the passion and let other team member know what are going on in the project. 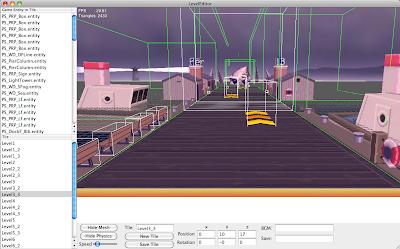 Second, the decision of making editors and Mac version of the game is important. 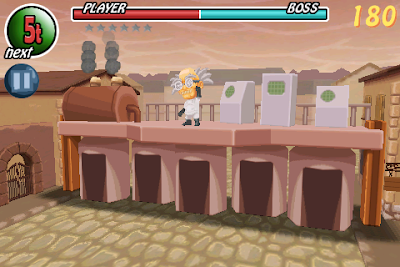 This enable artist to build and test the game level without any programmer interaction. Although the editors are not user friendly, the artist would suggested to add the minimal set of features (e.g. 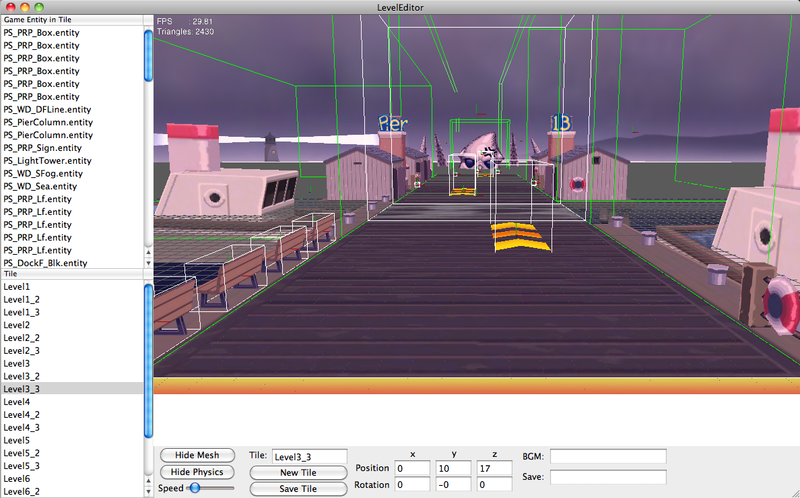 adding zoom extend to objects in the 3D viewport) that he can live with so that he can work in a much faster way. Explicitly saying what features are lacking will help the programmer to improve the tools. Third, embedding a scripting language to the game engine is useful. Writing game play code in Lua is much faster than using C++. Also modifying the script file is much faster than compiling C++ code which can have a faster iteration time. Also scripting language can draw a clear separation between engine code and game play code. Thanks to Lua, when migrating from the ship project to Monster Bowling, there does not have much to change in the engine code. Fourth, as the engine is written from scratch starting from memory management, rendering code, animation. I still use some open source library: Bullet physics library, Lua and SOIL (for decompressing PNG texture). I use them because my goal is to learn how an engine should be architected to interact with different modules. Also I am not strong at physics and scripting, writing my own physics library and scripting language will take a long time and the code would not be as fast as Bullet and Lua. So I choose to use some open source library which have source code so that it is easier to debug. This iPhone game engine project took a total of 1 year and 3 months of spare time to complete and produced 1 game. As there is only 1 programmer, Some open source library are used and I decided to sacrifice my favorite graphics programming(the engine doesn't perform lighting and using texture color only) to keep the work load low. I think that it is ridiculous to write an engine without making any game, so I worked on Monster Bowling using this engine, but there are some effort is wasted (i.e. world level streaming) when migrating from the ship project. So if someone just want to focus on making games only, I would suggest they license a commercial engine such as Unity or UDK rather than writing their own engine which will cost a large amount of time. But for me, writing my own engine is to learn and most important is for fun. Energy Conservation: The total energy of reflected light is less than or equal to the energy of the incident light. i.e. So, in the above diagram, for light coming from direction l to be reflected to viewing direction v, the micro-facet normal m must be equals to the half vector between l and v.
which consists of 3 terms: Fresnel term(F), Distribution term(D) and Geometry term(G). Their meaning can be found in the background talk presented by Naty Hoffman in siggraph 2010. And these 3 terms can be chosen independently as stated in the talk Physically-based lighting in Call of Duty:Black Ops (although "Microfacet Models for Refraction through Rough Surfaces" states that some G depends on D to maintain energy conservation, but some G are extended to handle arbitrary distribution, so in this blog post, I assume that the G function is independent of D). So I decided to find some distribution functions D and geometry functions G and play with different combinations to see how it affects the rendering result. You can also play around with different combinations using the WebGL demo(need a webGL enabled browser such as Chrome) in the last section of the post. where the refractive index n can be tuned in the demo. Distribution term is used to describe how the microfacet normal distributed around a given direction. 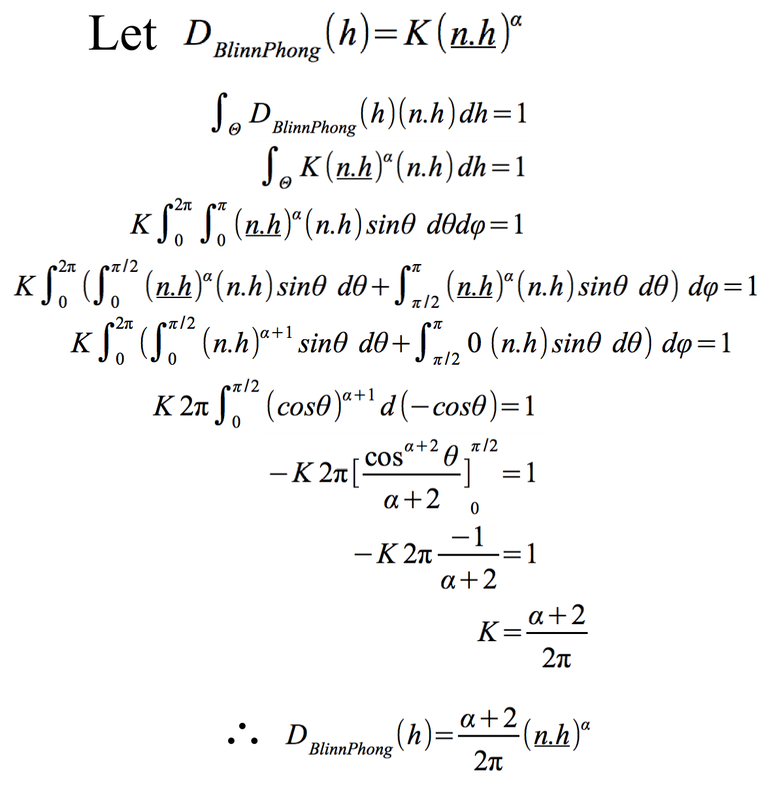 In the demo, I used two distribution function: Blinn-Phong and Beckmann distribution function. which gives a very similar result when both refractive index n and roughness m are small. When n>10 and m>0.5 the 2 distribution start to show difference and the difference will get larger when both m and n are getter larger. Geometry term is used for describing how much the microfacet is blocked by other microfacet. 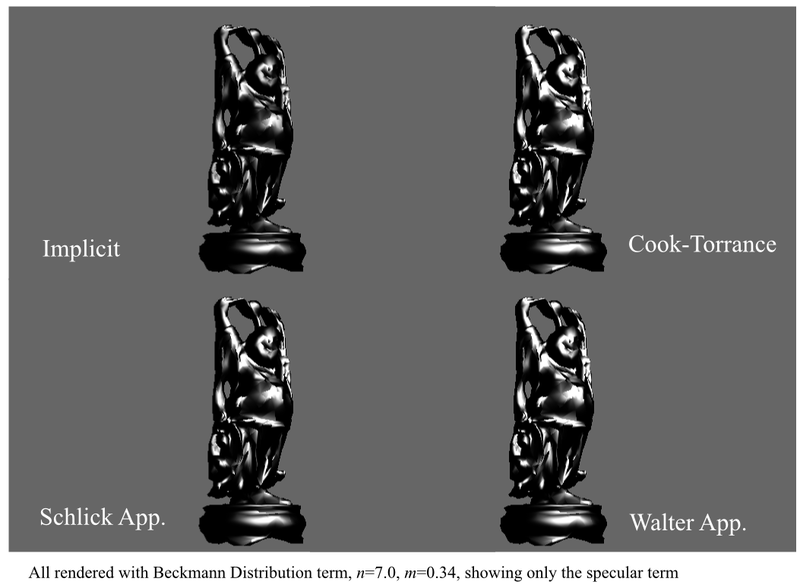 In the demo, 4 geometry terms have been tested: implicit, Cook-Torrance, Schlick approximation to Smith's shadowing function and Walter approximation to Smith's shadowing function. It is called implicit because when it is used, the microfacet BRDF will only depends on Fresnel equation and distribution function. 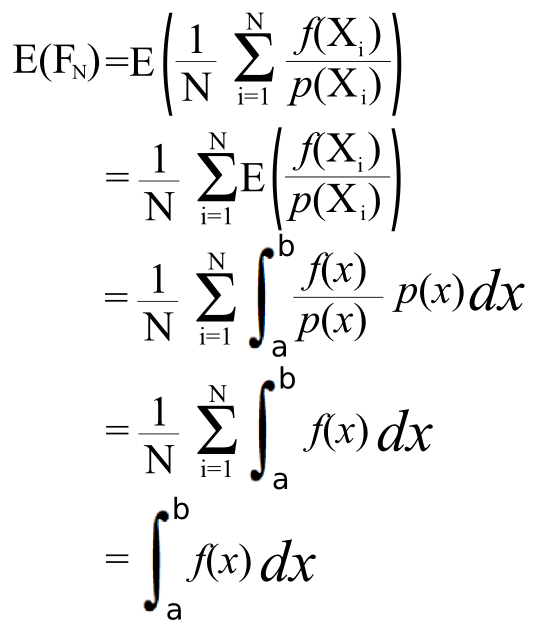 And they later discovered that this term can be approximated with (1- f0), which will show very similar results. 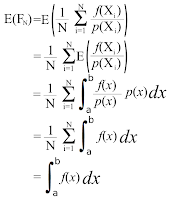 However, using this term will violate the reciprocity of the BRDF. 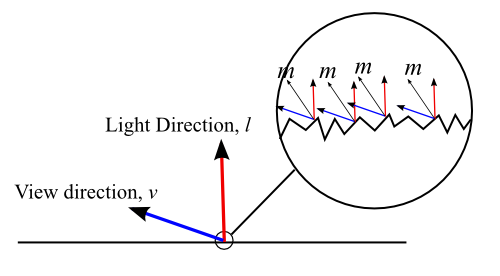 If diffuse energy conservation is enabled, when the refractive index change, the ratio between the diffuse and specular reflection also change accordingly. 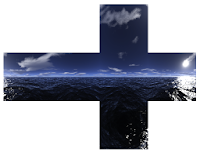 I provide a webGL program so that you can play around with the settings I described above. The model is illuminated by a single white directional light and the red color is the diffuse color. The diffuse BRDF is just a lambert surface which can be turned off in the demo. 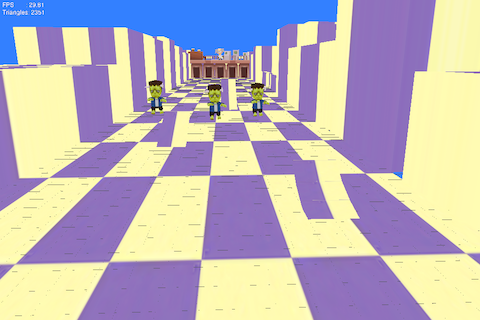 Dragging inside the viewport can rotate the camera. The source code can be downloaded from here. Physically plausible BRDF can give a different material appearance for a surface compare to traditional lighting model. However, in this post, I only use 1 microfacet BRDF for all 3 RGB channels, using different BRDF settings for difference channels is also possible as some material like copper and gold have different f0 term in RGB channels. Also only direct lighting is investigated where secondary lighting BRDF will be left for future blog post. 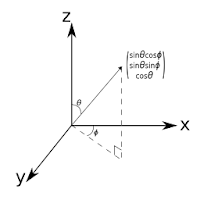 With an approximation up to band l = n - 1, which n×n coefficients are needed. Below is a webGL demo (which need a webGL enabled browser such as Chrome) using the cube map on the right as light source and projected to SH function using Monte Carlo Integration. Both the white and the blue color on the model is reflected from the sun and the blue sky using SH coefficients generated from the cube map and the ZH coefficients projected from max(N.ω, 0) which rotated to world space according the surface normal. 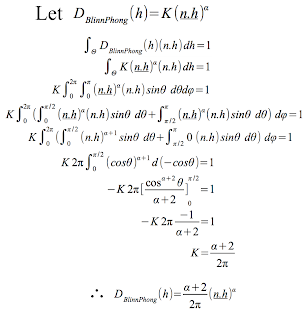 The approximation is done up to band l=2. You can drag in the viewport to rotate the camera.